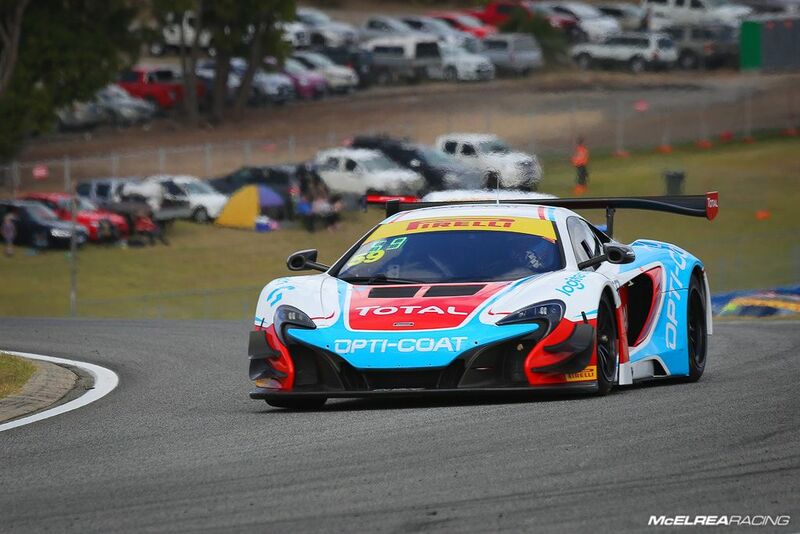 Since the last round of the Australian GT at the F1 in Melbourne, we are proud to announce a new McLaren GT customer Alex Franes. 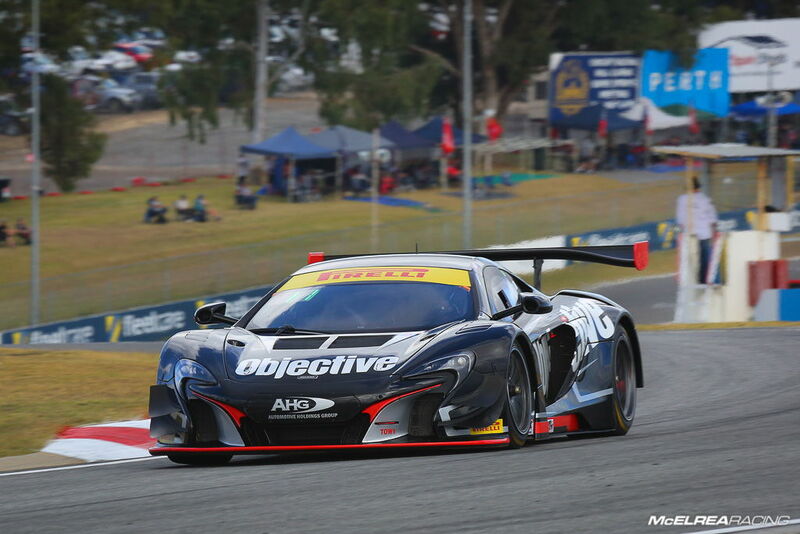 Alex and his driver Fraser Ross are a welcome addition to our now strengthed McLaren squad! We have raced against Fraser in the Porsche GT3 Cup Challenge and the Australian Carrera Cup previously so it is exciting to finally have him on board as one of our drivers. After a strong start in practice Tony qualified 10th fastest in the first session and then improved to 3rd fastest in the shortened second session. Race 1 was interrupted by an early safety car which closed up the field. Once racing had resumed Tony dropped a few positions only to regain them again at the pit stops popping out in the lead under another safety car. With lapped traffic and many slower cars affecting the race pace, Tony still managed a strong result to finish third at the chequered flag. Race 2 was over for Wallsy at the second turn, with contact from another driver spinning him into the path of Scott Taylor's Mercedes. 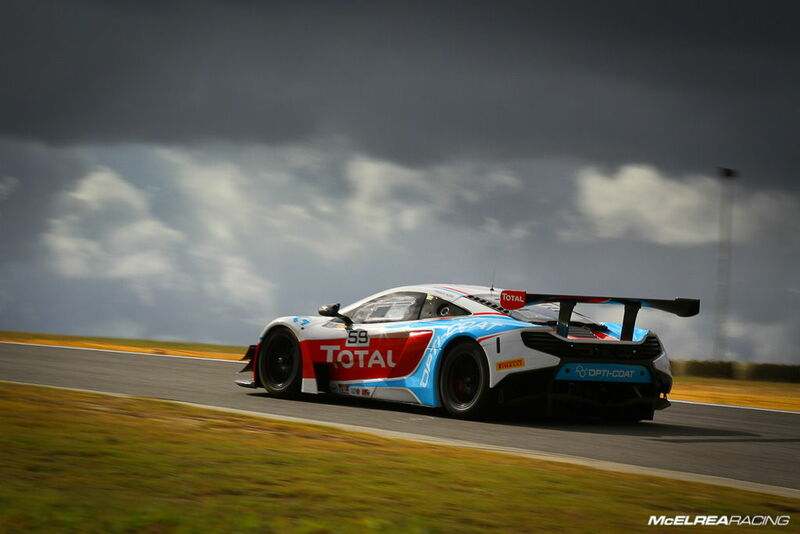 Taylor's car made heavy impact with the McLaren forcing both of them out of the race with severe damage. In the first qualifying session Fraser encountered traffic but still managed 8th fastest. The second qualifying session was stopped early with a red flag (due to another car making contact with the wall) and fortunately Fraser had managed a good time and was sitting in a strong 2nd fastest at the end of the session. 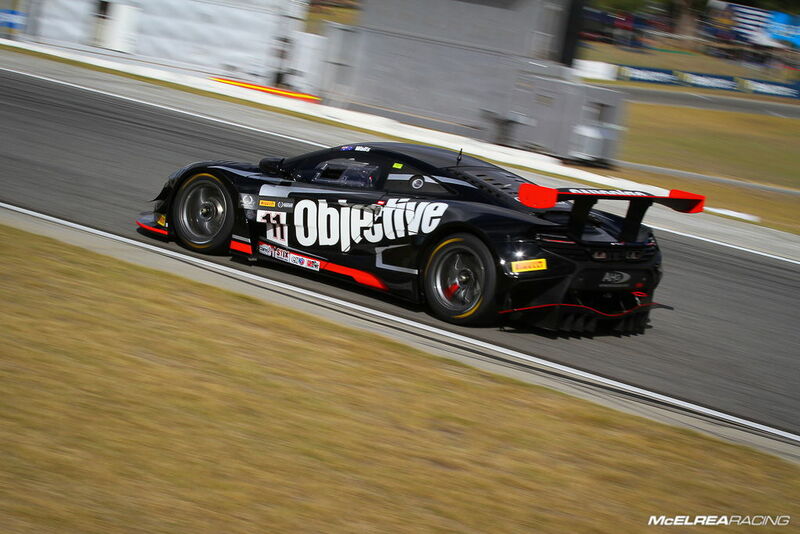 In the opening race Fraser was in 6th before the first safety car. After pit stops and the second safety car Fraser was in 4th place and after some consistent lap times and a couple of great passing moves into turn 6 he made his way into 2nd where he stayed until the chequered flag. The start of race 2 was chaos and resulted in a safety car for 6 laps after the incident involving his team-mate. At the restart Fraser held his position in 3rd until the pit stops but with a longer stop than normal because of the compulsory pit stop time (added for his result in the first race) he returned to track in 10th and finished a respectable 9th. Overall combined result for Fraser was 5th position which is a great result for his first race meeting with MR!